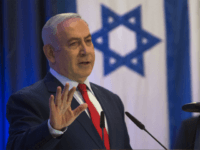 TEL AVIV – Prime Minister Benjamin Netanyahu on Tuesday secured recommendations from a majority of the 120 Knesset seats, cementing a right-wing coalition of 65 seats. 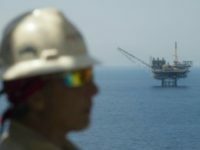 JERUSALEM — Israel’s Delek Drilling and its U.S. partner, Noble Energy, said Sunday the foundation of their rig for the Leviathan gas field has arrived, in the first stage of an ambitious project they say will wean Israel off coal and revolutionize its economy by turning it into an energy exporter. 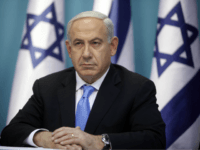 TEL AVIV – Prime Minister Benjamin Netanyahu over the weekend claimed the corruption investigations against him are part of a conspiracy by the left and the media to oust him. 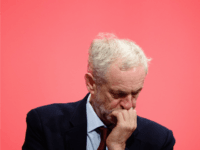 Vile, poisonous slanders against Jews have been exposed as part of the official Facebook page of UK Labour Party leader Jeremy Corbyn. 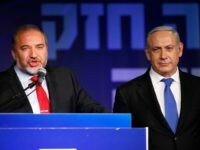 Prime Minister Benjamin Netanyahu has a double-digit lead over his top potential challengers in a new Israeli general election, according to a poll released Monday. 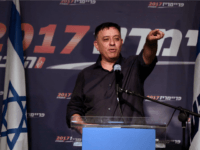 Former environmental protection minister Avi Gabbay, who joined Labor only six months ago, swept the party off its feet and emerged victorious in Monday’s close runoff race against veteran MK and former Labor chairman Amir Peretz. Gabbay won 16,080 votes, which was 52% of the vote, while Peretz won 14,734 votes, or 47%. 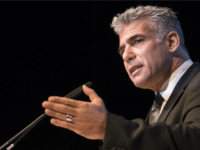 TEL AVIV – Business executive and former Kulanu minister won Labor’s primary Monday, beating former party leader and defense minister Amir Peretz as the party’s new chairman.